So, I’m thirty-two, battling depression and childless and I don’t need a nagging mother like Bridget Jones had to remind me that time is indeed, running out. I’m reminded of that every time I’m on Facebook and I see all the baby / kid updates on there often by school peers much younger than myself. The latest craze sees babies lying next to cards referring to their age (6 months, 1 year etc.). It can feel like I’ve missed the train. 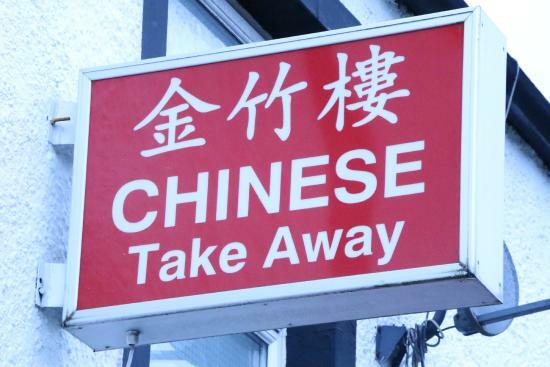 Tonight, I was sat in a Chinese takeaway when an elderly man walked in and ordered a Chinese meal before asking his grandson if he wanted something – quickly adding that he ‘didn’t have a lot of money.’ His grandson respectfully declined, explaining that he couldn’t really get anything for £3. The old man then told him to choose whatever he wanted (in a slightly stressed tone) and spent a long while digging into his trouser pockets, counting the pennies until he could pay for the meals. He then came and sat down next to me and started a conversation. ‘NO NO NO’ said my inner voice as I sat there dressed in old ragged clothes – one of those moments when you hope you won’t see anyone you know (but you always do!). We soon got talking families and I explained that I was one of triplets and lived locally. He seemed rather taken back about the whole thing but equally fascinated. “Both your parents must have had such a tough time with you, at feeding time and all that, all the special birthdays and Christmases” he said before adding that he thought such a feat was “amazing”. He then explained that he was there to pick a meal up for his wife who was ill in hospital following a serious infection. He hadn’t ordered for himself as I firstly thought, treating his grandson as an afterthought. How ready was I to judge! The order was for his sick wife. “She hates hospitals,” he said before explaining that he hoped she would soon be home. He then swiftly reverted to talking about my mother and the work she must have put in to bring us all up. I tried hard to hide my cracking voice as we continued to converse. It’s been 15 years since I lost my mother to a brain tumour when I was a 17 years old A level studying student. I don’t really talk about it. I have come on leaps and bounds since then, but his comments still touched a raw nerve. He was right. Both my parents were and still are amazing. I couldn’t muster up the backbone to explain to him that I’d lost my mother a while back but that I still thought about her every single day. His words got me thinking about the enormity of what my mother had done, bringing up three little souls, giving them her all before her chance to see us grow into adulthood was snatched away. I still find myself feeling bitter about that today. I find myself searching for a justice that nature cannot provide. I cannot propose to having fulfilled half has much as my mother did in her short life. Still, I seem to be deserving of a life, when hers was so brutally taken away. Don’t get me wrong, I’m not saying that to be worthy, I (or any other woman) have to give birth. It is, of course a personal choice and circumstances in my life to date have not made it possible. There are moments in life when I believe we experience flashes of clarity; often clearing a fog. This chance encounter at the takeaway tonight reminded me that things are rarely as they seem. The elderly man was buying dinner for his ill wife and spent all he had in his pockets on her and his grandson, leaving with nothing for himself. My mother also left with nothing, despite giving us everything. As I continue to battle my demons with depression, experiences like the above force me to question my contribution to society. They also make me value the sacrifices that my mother and others made and continue to do so to better the lives of close family members and friends. We all have our cross to bear. But, little did the stranger in the Chinese realise that he had managed to defy the greatest of all distances by bringing my mother and I, just that little closer. So, I’m thirty-two, battling depression and childless. I have but a single wish and that is to give to others as freely as my mother did to us and to be as kind and compassionate as the elderly man in the Chinese take away. He made me want to shout out into heaven and thank my mother for every single thing she ever did, piercing my grief for a little while. I might never have children, I might even fall back into the claws of psychosis and depression, but if I can touch a single life – as I am, expecting nothing back – life might all be worth it in the end. Maybe then, I can be half the woman my mother was. Previous The last 3 years: A journey through ‘madness’? You’re still young. I was wondering why people have children in the first place because when you do a psychological comparison between people who have children and those who don’t those who don’t have children are happier , but I think that’s the wrong metric . How much trouble would you want their not to be? It’s a weird question because you want something to contend with you want something to forces from you the best that you have and for some people that’s being and charge of a human life. In Buddhism its called loving kindness. Practicing loving kindness meditation might be a place to start. The thing is, sometimes, possibly most of the time, you won’t even know that you’ve touched someone’s life or helped someone who needed it. I know there are simple things people have done for me that have meant the world, that have been exactly what I needed when I needed it, sometimes from a complete stranger that I’ll never see again, and they don’t know. You are doing good. Sharing stories like this touch others, so you are sharing that kindness. This is such a beautifully written capturing of a few moments between strangers that led to insights and memories beyond price. I lost my mum too, at a youngish age, to cancer. She never saw my children. But I’m convinced she has never left me when I need some help. Maybe yours helped you by alerting you at this particular moment in time to the old gentleman and grandson in the Takeaway shop. I have had so many coincidental happenings in my life when, feeling very low, I feel my mother has put something in front of me to help me cope. Love never stops when we die, and as she wrote for me before she died, ” Nothing can divide us from those who love us, not even death”. I always enjoy reading what you write Malan, I mean to comment more often. With.reference to mums and dads and their struggles, and how if we understand them, looking back it helps us – my dad struggled with manic depression all his life and my mum helped him all she could till she died and then we (me and husband) did our best till he died. But even though he had regular recurrences of depression in his life of 72 years he achieved wonderful things. He designed aircraft and locomotives, was brilliant at growing plants, and when he was feeling well, was the best father I could ever have wished for. He taught me so much which has been useful to me in my life and work, and like you said in what you wrote, when I look back and see how brave he was, battling depression etc, I wish I could have understood him better at the time. So, my point is, people who have these struggles are to be admired and supported, because anyone who hasn’t stood in their shoes and experienced depression, can possibly understand how brave they are. Keep writing, you have great talent and can tell it how it is. Apologies for typo – I meant to write, anyone who hasn’t stood in their shoes and experienced depression CAN’T possibly understand how brave they are..